Summit Staffing works with job seekers to find the right jobs matching a candidate’s skills and experience. Summit Staffing provides employment services to our clients throughout the Midwest. Contact us today to get started on finding the best position for you, or inquire about supplying your facility with services from Summit Staffing! Summit expanded into the professional staffing sector in 2010, with the launch of Summit Technical Staffing. With a focus on Administrative & Clerical, Accounting & Finance, and Skilled Manufacturing positions, Summit Technical staffing allows us to offer greater value to our clients and associates. Summit Staffing was founded by Fiorella Auriemma in 1986. Beginning as a small in-home business, Fiorella has grown Summit into one of the largest privately-owned staffing firms in the Midwest, with six branches in Illinois, two in Indiana and one in Wisconsin. Under Fiorella’s direction, Summit has continued to specialize in light industrial staffing, as well as moved into Administrative and Professional staffing services. Fiorella works in tandem with the leadership team to accelerate growth programs and facilitate the company's expansion. She is committed to continued Customer Development and fully understanding our client’s requirements, goals and expectations to best service them. 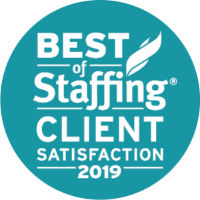 Most importantly, Fiorella has built a culture within the Summit Staffing corporation, that has led to high staff retention, and a wonderful dedicated workforce. Annette Milan has been an integral part of the Summit Staffing leadership team for the past 27 years. Annette is passionate about designing Summit’s business operations to ensure effective and efficient success in connection with direct impact for our customers and employees. Annette oversees a unique blend of vast and complex systems encompassing customer service support, full-service recruiting specialties, safety and risk management, and human resource management to present a service platform enabling our team to create measurable value for our clients and employees. Annette personally strives to stay focused and up-to-date on the big picture. Being part of a company culture that blends professional and results-oriented service with a friendly, fun-loving environment is key to our success. ​Frank Auriemma joined Summit Staffing in 2005 and is a Vice President with responsibilities in various areas including corporate strategy, account management, banking, insurance, strategic partnerships, and government affairs. Prior to his current role, Frank was a Director in the Professional Staffing Division where he oversaw recruiting, sales & marketing, and the hiring and training of internal staff. Over the years with the company has worked in a number of roles including payroll & billing, AR & AP, recruiting, sales, and customer service. Frank is currently a board member of the Staffing Services Association of Illinois. Analisa Gutierrez began her career at Summit Staffing as both the Branch Manager and Sales Manager at the Bolingbrook, IL location in 2009. Analisa’s ability to build relationships with the Clients as well as Temporary Associates, allowed for the Bolingbrook branch to grow to the largest in the company. In 2015, Analisa moved into her new role as Vice-President of Business Development. Analisa oversees the day to day operations of the Sales Team, as well as consults with Branch Managers on recruitment strategies and customer service. Analisa’s core focus is on the growth and service of clients, which she believes comes from integrating Summit into the individual operations within a client work site and culture. ​With 33 years of experience as a CPA, Paul Svendsen brought his talents to Summit Staffing in 2015. Paul oversees Summit’s entire accounting operations which encompasses payroll, accounts payable, accounts receivable, taxes, governmental reporting, cash management and of course financial reporting. Paul maintains a professional atmosphere, while teaching and making the accounting department exciting and understandable to all Summit Staffing employees.